Intuit has released the QuickBooks 2010 R7 update to manual update. This update is only necessary if you are using Payroll or QuickBooks Merchant Services. I’ll review the changes in this article. I have installed the update on my system, and so far I don’t see any problems. However, I’ll note that I’m not using QuickBooks Payroll, and I don’t use QuickBooks Merchant Services, so I can’t test those features. In addition, I’ve only been running this for a short while, so if there are any hidden “gotchas” I might not have found them yet. I don’t expect any, as this isn’t a big update from R6. Good news for those of you using a 64 bit system – they didn’t mess with the PDF driver, so my 64 bit system still is able to print PDF files and reconcile accounts (that was working OK for me on R6). I always check this as they seem to periodically break this feature on 64 bit systems. From what I can see, if you are NOT using Payroll or QuickBooks Merchant Services you don’t need to bother with this update at this time – let other people “field test” it for you. No other changes are listed. If you are using QuickBooks Merchant Services you MUST implement this update soon. To my knowledge they didn’t do a formal wide ranging field test before release. It is possible that they tested this with customers who reported these problems (but that is speculation on my part). This corrects a problem when you tried to print, delete or correct paychecks and received an error C=74 or C=331. This update is a change relating to password security compliances requirements. More details can be found at http://security.intuit.com/pci-dss.html. This update lets you create a complex password according to these standards. At the time I’m writing this the Intuit notice mentions an update in June of this year – it isn’t clear to me if R7 is that update or if there will be another one following this. To continue to use this service you must implement this update. I’m wondering also if there will be updates coming along for the 2009 and 2008 releases for the same reason? This will be available on automatic update on June 10th. Just a word of caution. In fixing the 64bit PDF problem with R6 Intuit brought the Amunyi print dlls to an old version. If you have other programs that use the Amunyi print driver and are using the newer version of the dll this will cause problems. One specific I know of is Time Matters, depending on version and service release. I run 3 companies on Enterprise(this will change soon, I am done with Quickbooks egregious marketing and implementation tactics, after 12 years of abuse) Three weeks ago, one company(mostly Vista machines, several 64 bit) was brought to it’s knees by the malfuction of the pdf e-mailing capability(we send out 2-300 invoices per day via e-mail) After spending 3 full days on the phone with QB “support”, we finally resolved that problem, although we can no longer use Outlook in any functional way in that enterprise. Monday, one of my staff inadvertanlly downloaded R7 in another location. Despite the fact we have no 64 bit or Vista machines here(all XP), we again have no e-mail pdf solutions. I am tired of the constant “upgrades”, and especially the foreign language speaking “help”, whose only solutions seems to be the memorized phrase” we will solve this”, when obviously they don’t I pay too much for support and an annual upgrade to let this continue. Too bad Intuit has no marketing/sales/business people who can listen or react to these serious problems. If this was a different economic time, I would consider legal action. 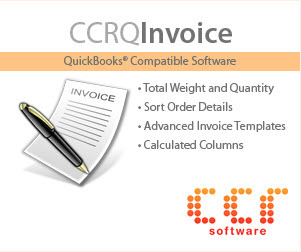 Charlie, Thanks so much for your indepth articles regarding QuickBooks automatic and background updates. •	Manually download and install the QuickBooks Release 7 update. 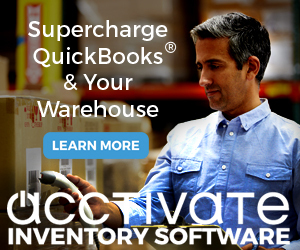 I’ve seriously thought about implementing your company’s policy regarding QuickBooks automatic updates, but know that part of the challenge is also keeping up with the workstation or server operating system updates. In this particular situation, time is everything! Joan: Thanks for the info on the .NET update. I hadn’t run through things in that sequence (My R7 updates were installed prior to the latest .NET updates) so I hadn’t seen that issue. There may also be some issues with the .NET 4 Framework, although I’m not certain. I’ve seen some issues with it in some installations that I’m trying to pin down. .NET 4 is less likely to be on a system at this time, as it is very new. I had installed QB 2010 R6. I installed an HP Officejet 8500 printer, turned off wireless, and connected with USB. My problem is that while I can print QB reports and save the reports to PDF file, I am unable to print paychecks/checks. Before I installed the 8500 printer, I had an HP 5700 hooked up, with QB 2010 R6. No problem with checks. Since I installed the 8500, I can’t print checks or paychecks. I followed QB help process for 64 bit problem, but that doesn’t help. I uninstalled and reinstalled printer, and QB 2010 R6, updated to R7. Still have the problem. To trouble shoot, I printed a large report, and then a couple of checks. When I checked the HP8500 q, through Printer/Fax, I can see the report job printing, correctly ported to the 8500/USB. But the checks job shows blank in the port field. Then the check job “print” and disappears from the q. Interesting to note that QB2010 records the checks as printed (whether I say ok or not in the QB print box. In one forum, someone said QB2010 R7 doesn’t support PDF files. Is this true? I am getting around this problem by “printing” checks and paychecks in QB2010 (at least they are recorded). Then writing out checks by hand. I am running Windows XP, single desk top. Diane, it is hard to debug a system that has a problem with a particular printer without having hands on the computer to see what is going on. QB2010 R7 works fine with PDF files on my own systems. The PDF driver issue shouldn’t have anything to do with check printing, though. That relates to sending forms/reports via email, and reconciling bank accounts, for the most part. You may want to check your QBPRINT.QBP file : Note that by doing this you are resetting any special printer settings you have set up for any forms. By renaming this file (instead of erasing it) you can always reclaim the file if there is information you need. Note that this file will be created when you next run QuickBooks. To do this, locate the file QBPRINT.QBP, which is probably in your c:/program data/QuickBooks/2010 folder. Note that this is a “hidden” folder, you may need to change some folder options settings to see it. Rename this file to QBPRINT.OLD, so that you have a copy of it for safekeeping. Then restart QuickBooks and see what happens when you print checks. I have been searching for this update as even as a QB Adviser I have a client that refuses to go to a newer version because she is going to retire. 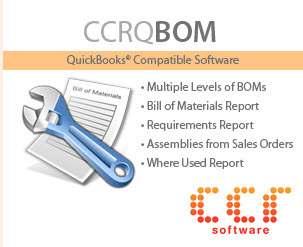 I have QB 2010 R3, but cannot find any updates and it won’t update, thus I am forced to do the bookkeeping either on site or by remote and this is time consuming. Contact me via the email address in the “About this blog” page and I might have a way to resolve that. please, can you assist me a quickbooks premier 2010 update release R7 setup? “Setup”, if you have the update, you just install it or have QB’s update feature install it. If you want to get it, then you are out of luck, as that is an old version that is no longer supported, in general.